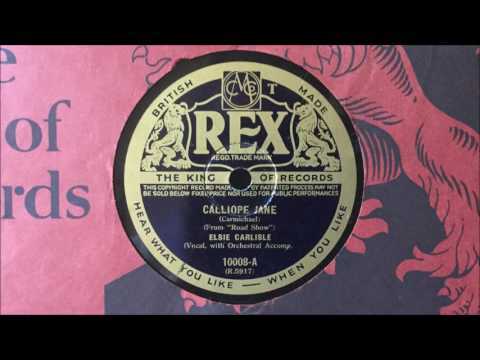 “Calliope Jane.” Composed by Hoagy Carmichael for Road Show (1941). Recorded by Elsie Carlisle with orchestral accompaniment, probably under the musical direction of Jay Wilbur, on June 24, 1941. Rex 10008 mx. R5917-1. You “ploop” all my cares away. 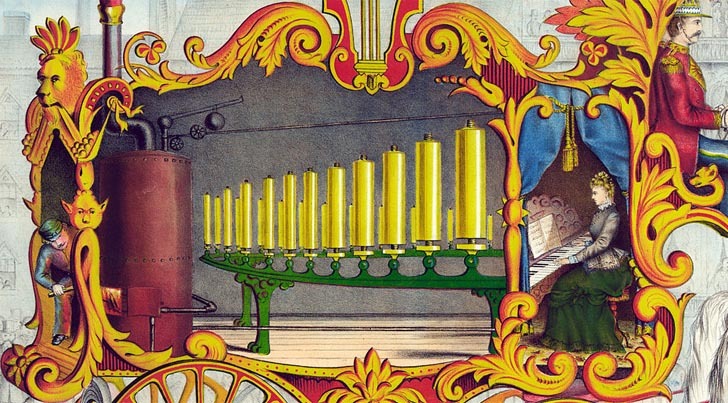 To their credit, The Charioteers lessened the awkwardness of this strange little song by singing the “ploops” in a very high register, so as to make it perfectly clear that they were imitating the sound of a calliope. Not so Elsie Carlisle. I will concede that Elsie applies her most dulcet delivery to “Calliope Jane” in an arrangement that lets her play both the part of the interested audience (“Johnny”) and that of Calliope Jane herself, who explains that when she plays her calliope, she likes”to give it a dash of that swing.” But Elsie utters her “ploop, ploops” in the same register as the rest of the words, and I had to listen to her recording more than once to realize that the sounds were meant to be onomatopoetic. The overall impression made by her version is one of extreme silliness that verges on being somewhat embarrassing. Not one of Elsie Carlisle’s finest moments, nor Hoagy Carmichael’s for that matter, and it would appear that few other artists took the bait and recorded “Calliope Jane.” The one exception was Arthur Young and His Swingtette, who had recorded it in London the previous day.